See the “history” section of ‘about us’ for events prior to 1994. In 1995 after selling the farm to Andy & Beth, the senior Sniders moved to the Lady Lake Florida area for warmer weather and new adventures. 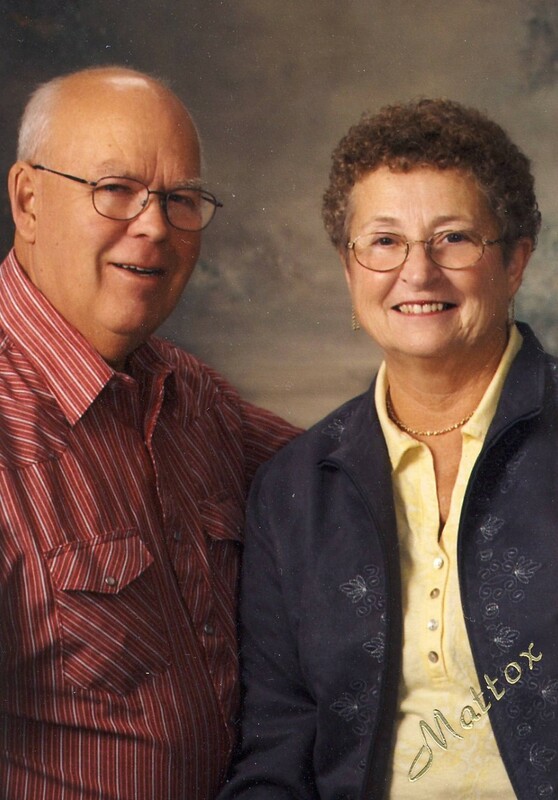 Larry went to school to become a massage therapist and Becky began her new career as a silk flower specialist, making arrangements during the week and then she and Larry would go to the “market” every weekend selling the beautiful creations and other collectibles. Larry graduated from Massage Therapy school and became an apprentice at a local office. Then after passing his State Board License, he opened his own business, quickly becoming very busy with his own clientele. Larry and Becky pursued this work very successfully for 10 years before their ‘second retirement’ and yet more adventures followed. The later half of their 2nd career years found Larry & Becky taking round trips “Up North” to the house and acreage they had purchased in the Panhandle of Florida, very close to Alabama. 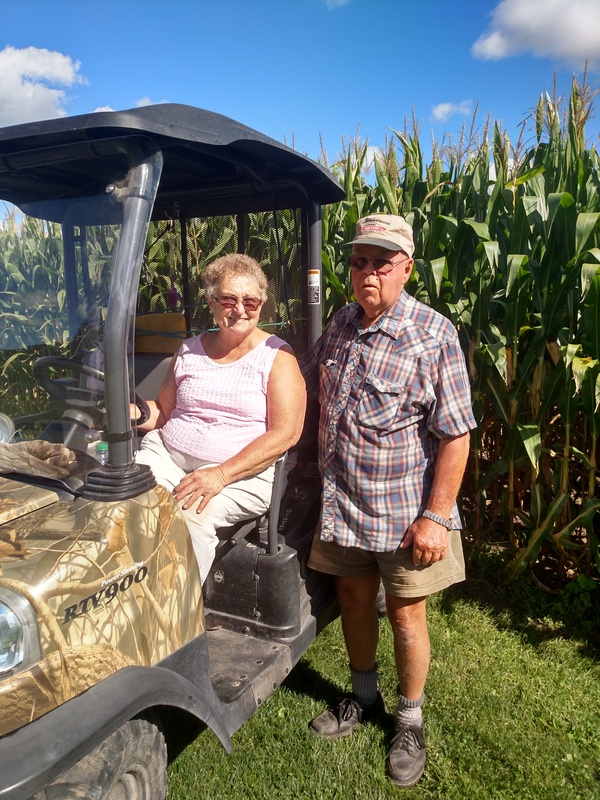 About one long weekend per month they would make these trips to Graceville for remodeling and other beautification projects on their little farm. After selling their places in Leesburg/Lady Lake area and liquidating their silk flower market inventory, they moved to the Graceville farm. Wasting no time, they built a barn and began building fences and started acquiring Boer Goats. Over the next few years, they built the herd up to as high as 100 head, did a lot of work and had much fun doing it! To their enjoyment many kids were born. 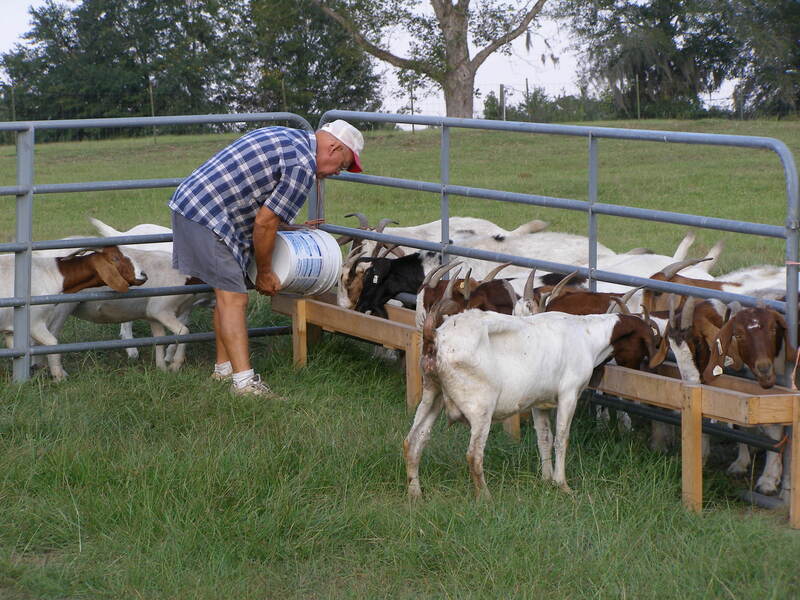 Having proved they could do it and seeking a less demanding retirement, they decided to begin selling the herd. 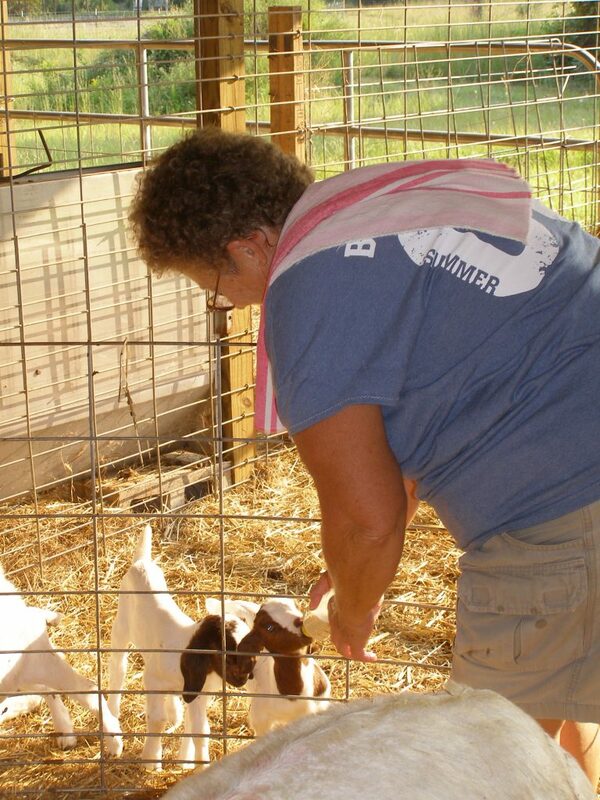 Interestingly, with much variety and adventurous endeavors with dairy, crops and livestock through over 50 years, Larry, and then Becky alongside, began and finished a very successful farming career with goats! 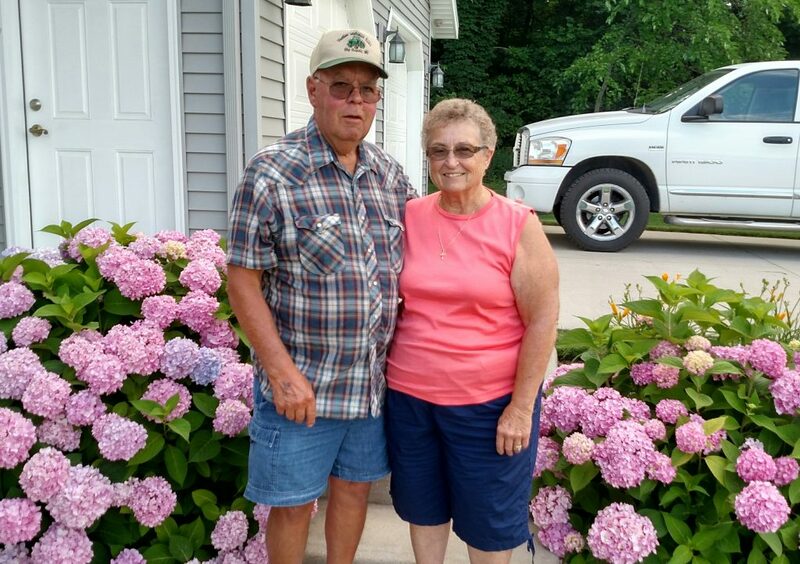 In 2010 plans were made and construction of a retirement home started for Larry and Becky and they moved back to the farm here in Hart, Michigan. Moving just in time for a 50th wedding anniversary celebration, they would oversee the construction of their summer home (having a desire to not be in the snow, they spend the winter 5 months in Florida) and did much of the finish work themselves the following year. With a beautiful lawn and garden to care for, fishing in the pond and extra grass to mow here on the farm grounds, they are always busy. Almost daily you will find them doing something useful around the farm. Going for parts, delivering seed, shuttling operators and helping keep the farm picked up and looking great are just a few of the many ways they help out. If you haven’t seen them and you are in the area, be sure to stop in and visit! Larry & Becky at their summer home…. and helping out around the farm!